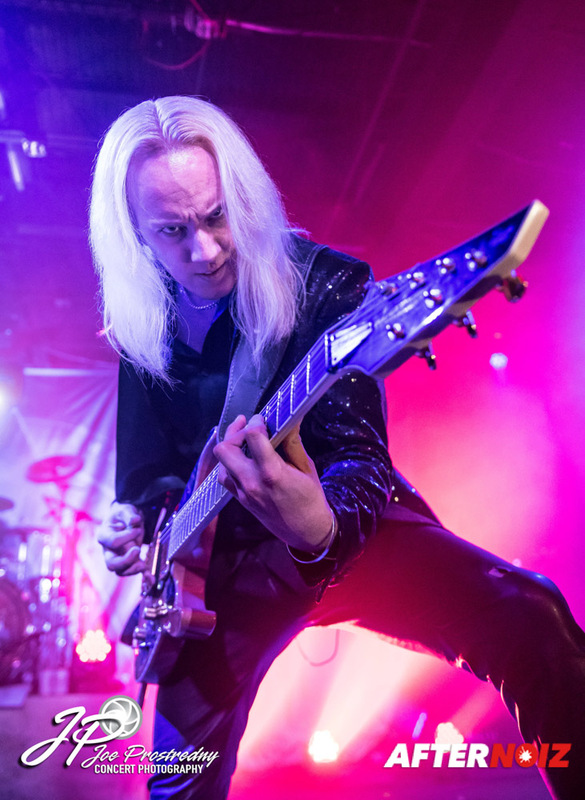 It had been more than a year since the Swedish sextet Amaranthe last invaded our shores to bring us their unique brand of infectious melodic pop/death metal and their fans were hungry for another tour. Expectations were high when the band finally announced a four-week long trek through the USA and Canada in February and March. 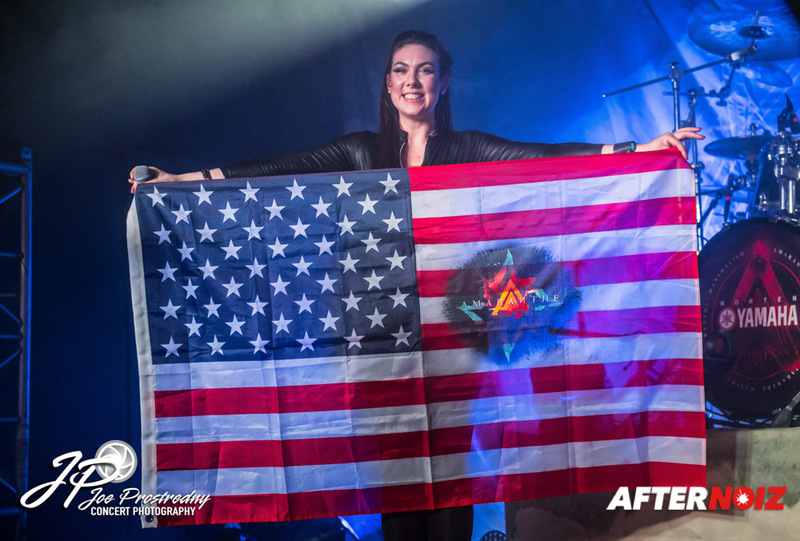 A lot had happened since Amaranthe had been here last. 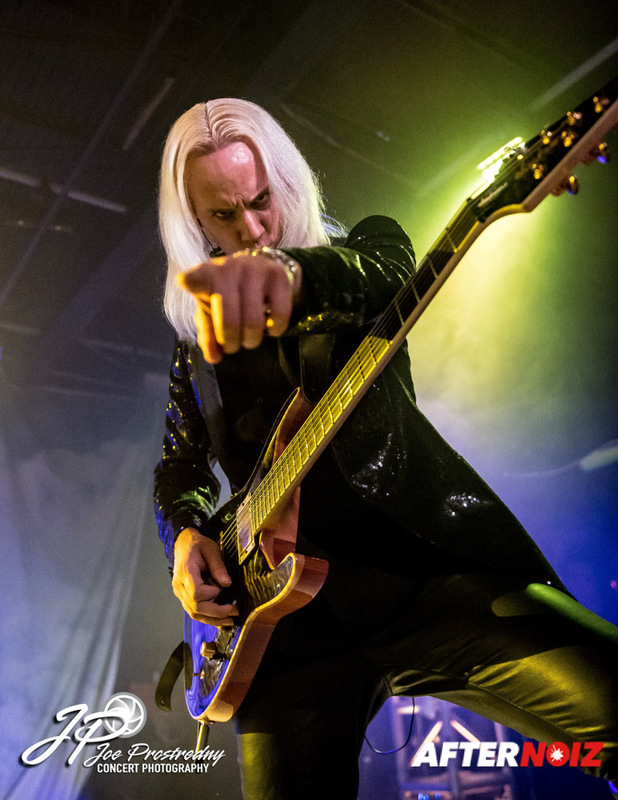 First off, the band had recently released their stunning fourth studio album Maximalism, their most unique and diverse album to date. 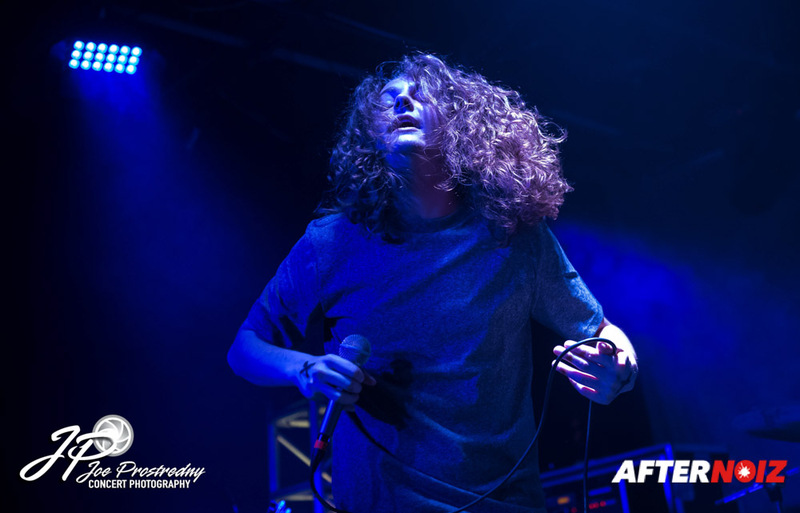 Secondly, the band’s male (clean) vocalist and co-founder, Jake E, recently announced that he was permanently departing the band. 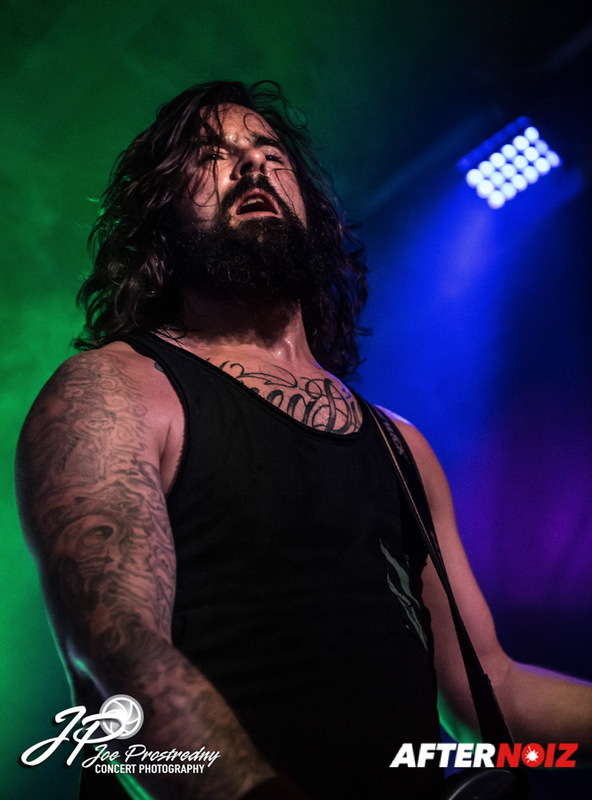 Although this came as a surprise to many, others have seen this coming for a while as Jake has seemed increasingly dissatisfied with his role in the band over the last few years. 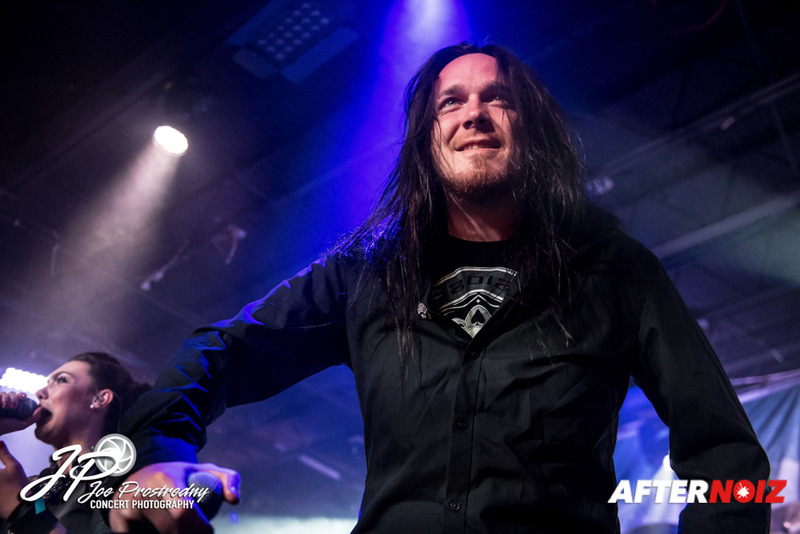 Amaranthe itself has been relatively silent on Jake’s departure and what their plans are regarding permanently filling Jake’s position is still unknown. 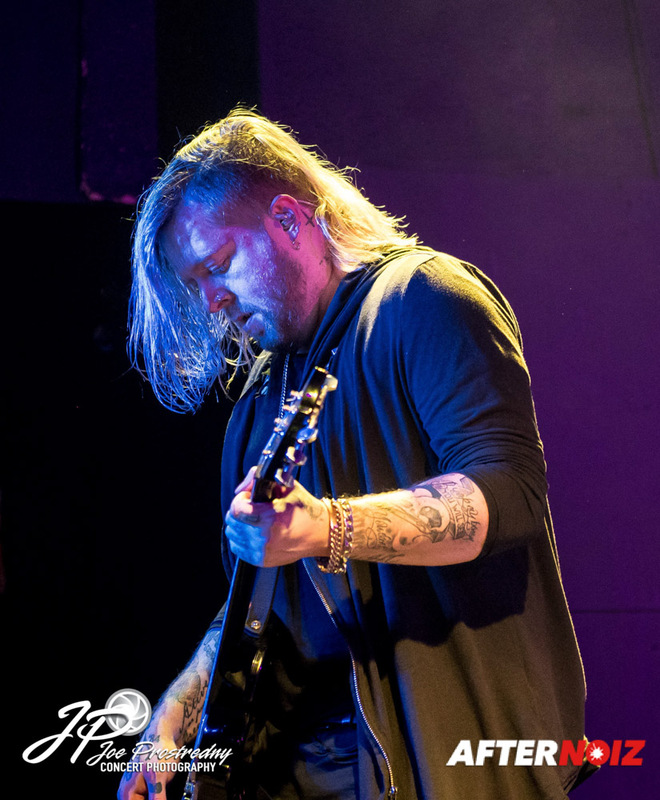 The clean male vocal duties for the 2017 tour would again be falling to Chris Adam Hedman Sörbye of the band Smash Into Pieces. 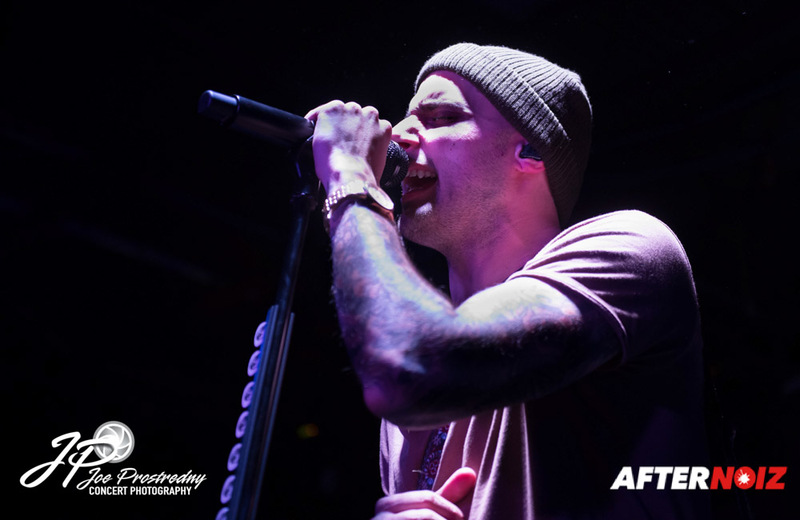 Although his vocal stylings are different than Jake’s, Chris Adam is a great vocalist in his own right, and he did a fantastic job filling in for Jake during the last North American shows in late 2015. It was shaping up to be a great tour and I caught a flight to Texas to catch the first two show dates! 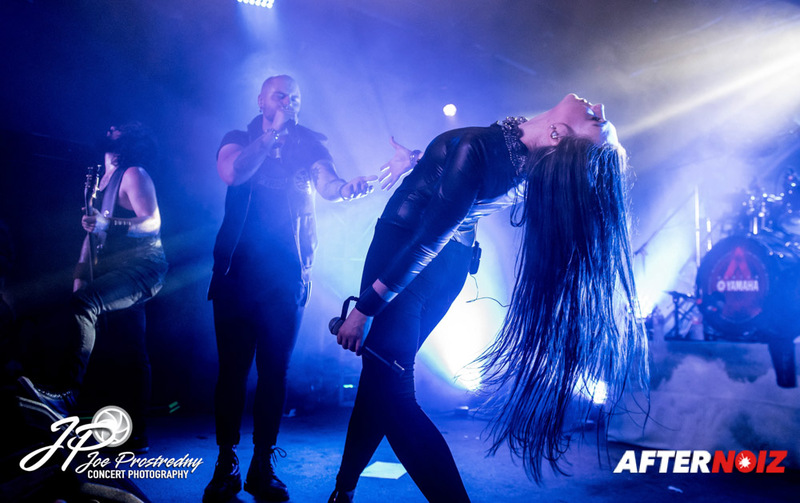 The tour was to hit 24 cities in 4 weeks, not counting the two warm up sets that Amaranthe performed on this year’s 70000 Tons of Metal cruise just a few days before the tour started. 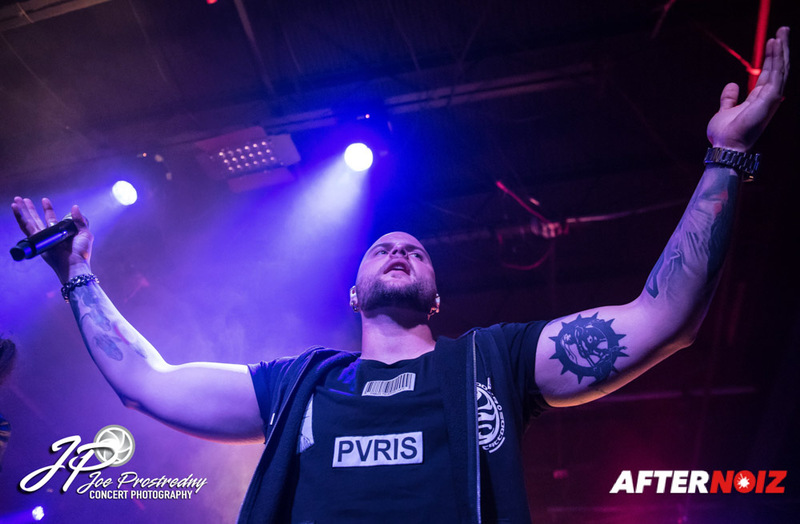 (see my upcoming coverage of 70000 Tons of Metal 2017 on Afternoiz/Globalnoiz). 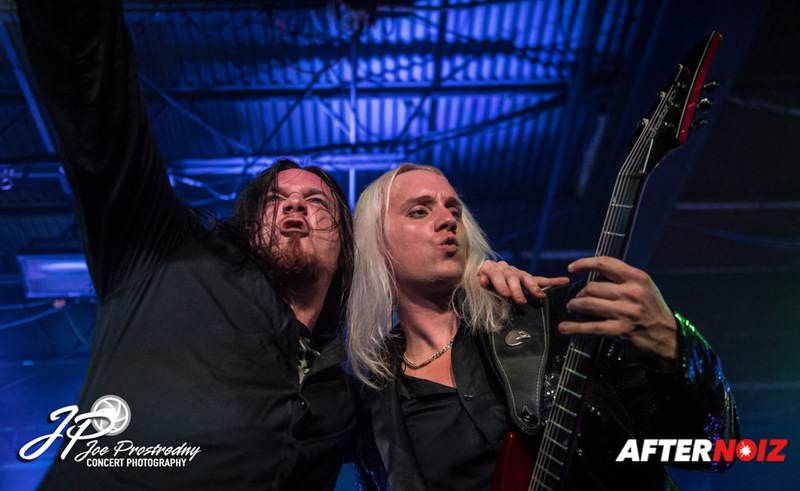 Amaranthe’s tour was a bit of a mini festival in and of itself as there were four support bands touring with Amaranthe. 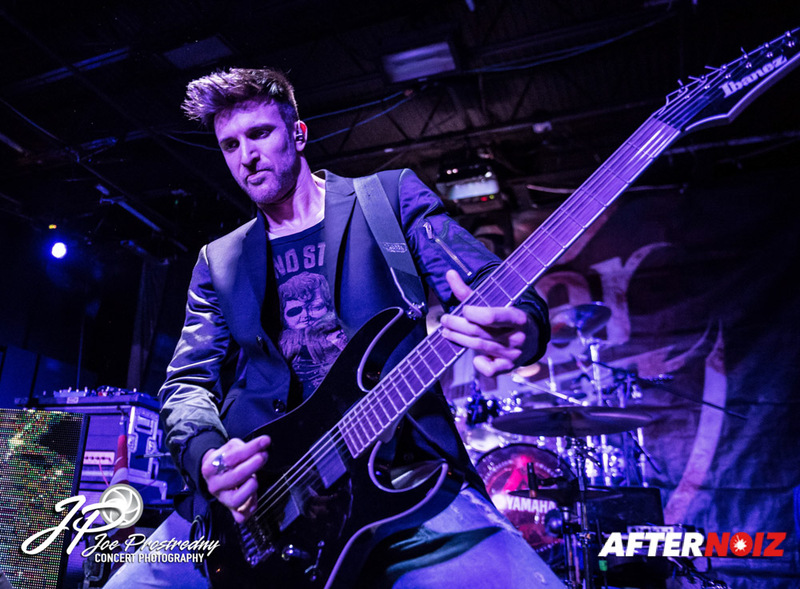 The first band on the roster was Chris Adam’s band, Smash Into Pieces. I was pretty excited about this as I was anxious to see how Chris Adam performed with his own band. 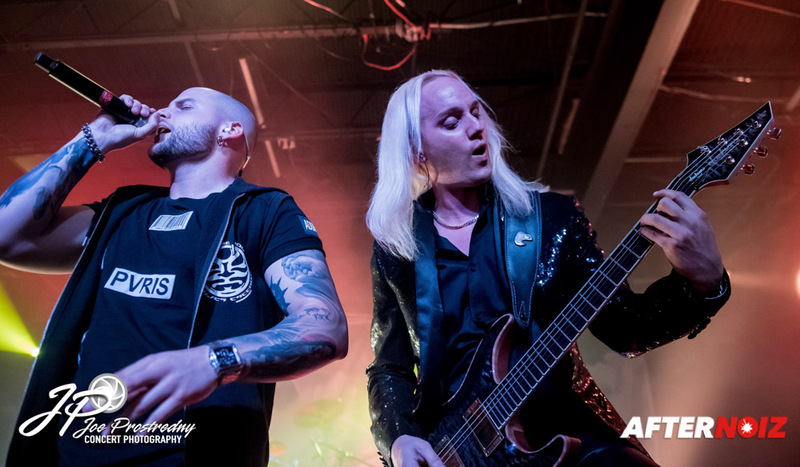 Smash Into Pieces is a five-piece rock band hailing from Sweden that has released three studio albums to date. 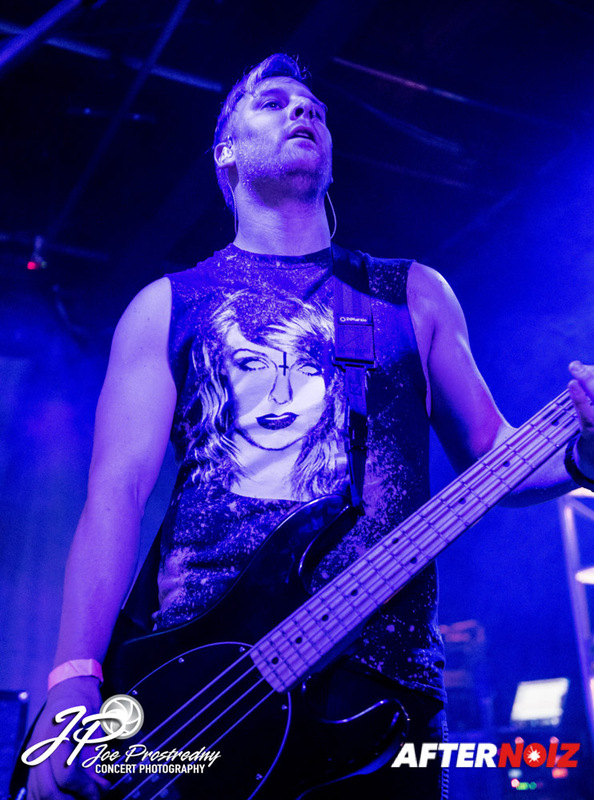 They have a fairly standard rock band line up with a vocalist, dual guitars, and bass and drums. 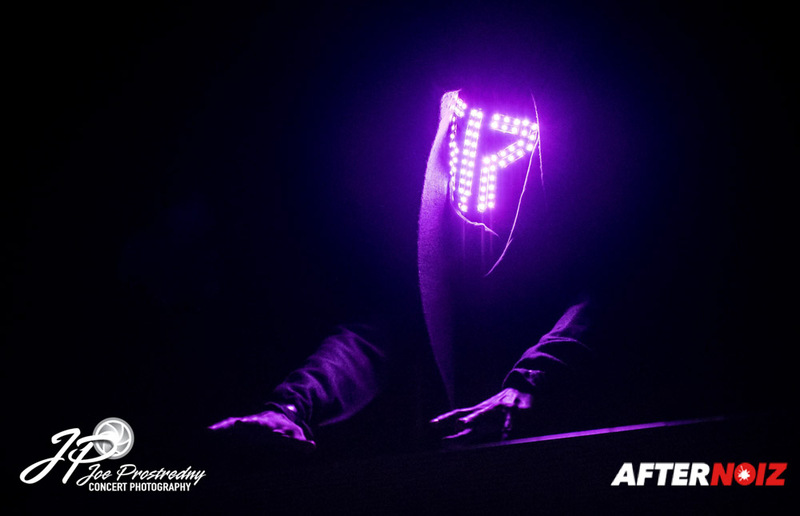 Their drummer was a bit unique in that he wore a black hood and face mask with an illuminated Smash Into Pieces logo over his face so his identity was obscured. The band only referred to him as the Apocalypse DJ. 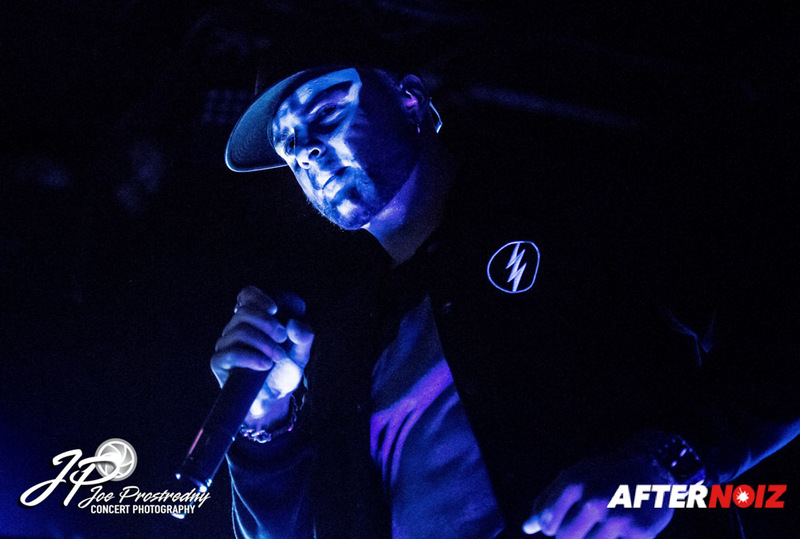 The remaining band members had the Smash Into Pieces logo on their faces with black light paint that was only visible when the proper light was shining on them. 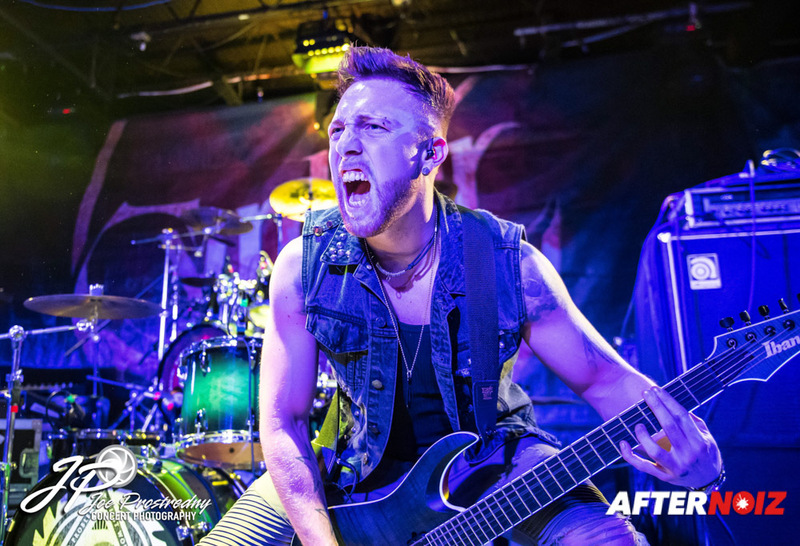 Smash Into Pieces puts on a hard hitting and very energetic show and I thought they were a great choice to energize the audience for the rest of the band’s playing that evening. 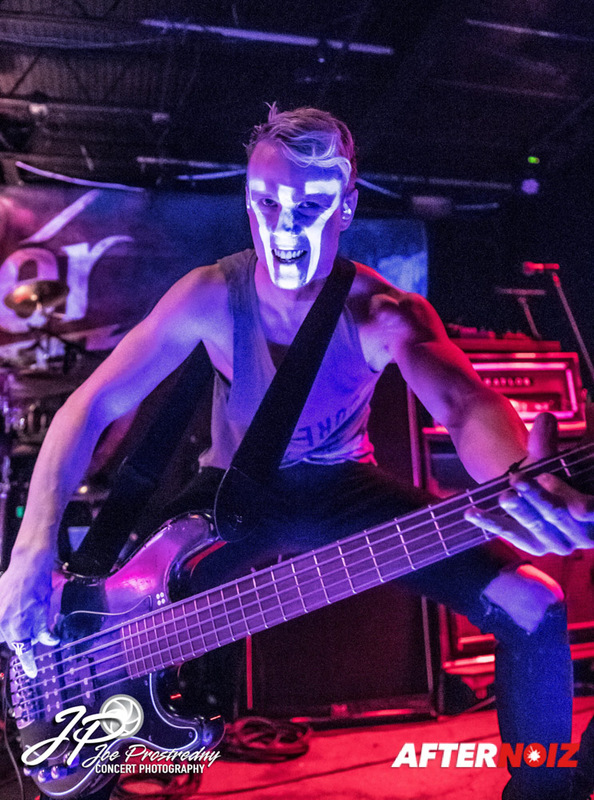 Next up was Cypher 16, a four-piece rock band with metal and industrial influences from the UK that have toured with Amaranthe in the past in Scandinavia. The band was having a bit of a rough time on the first night. They seemed to be having some sound issues and their drummer was absent due to last minute Visa problems. 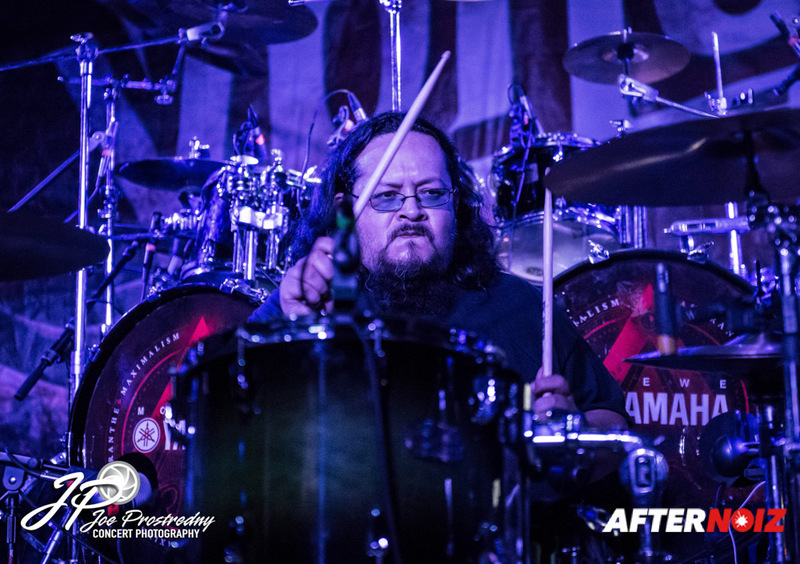 The band had, fortunately, found a last minute replacement drummer named Caesar, that I thought did a phenomenal job for a last minute fill in. 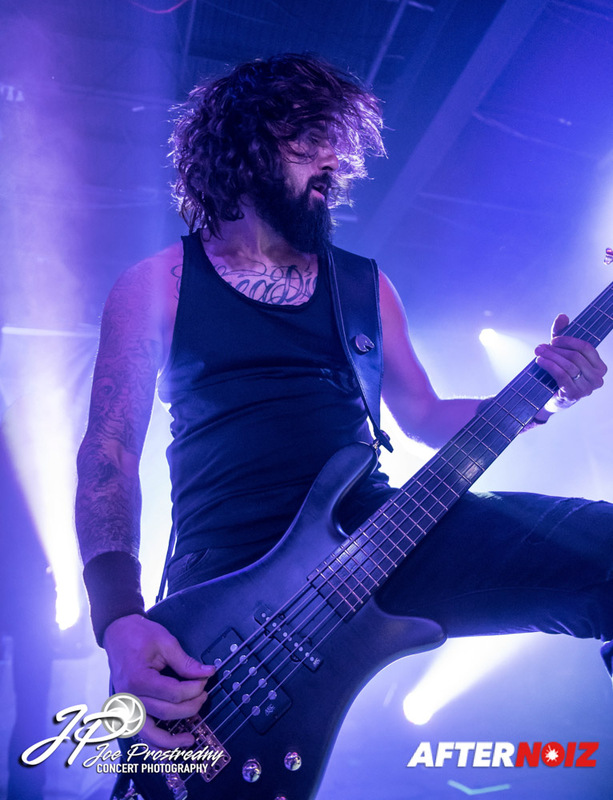 However, the frustrations of the evening were taking its toll on the band’s performance in Houston, and it seemed like the band was just trying to get through the set with as little trauma as possible. 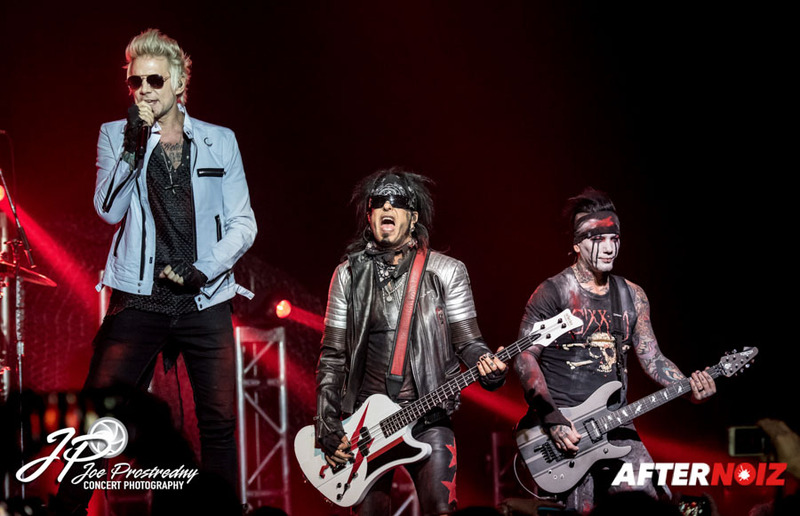 The second show in Dallas was a different story, however, and… despite the drummer still being absent, the band’s sound issues seemed resolved and the band seemed more relaxed and at home on stage. I thought their sound quality was good, their energy was high, and it was a much more enjoyable set! There were still plans for their drummer to join the tour as soon as his Visa issues were resolved, but I’m unsure if this has happened yet. The third band of the night was an American quartet from Detroit called Citizen Zero that just released their first full length studio album last year (the band also has two previous EPs). I had never heard of this band before, but I instantly fell in love with their powerful vocals, stunning guitar riffs, and hard driving rhythm section. This band is everything that a hard rock band should be. 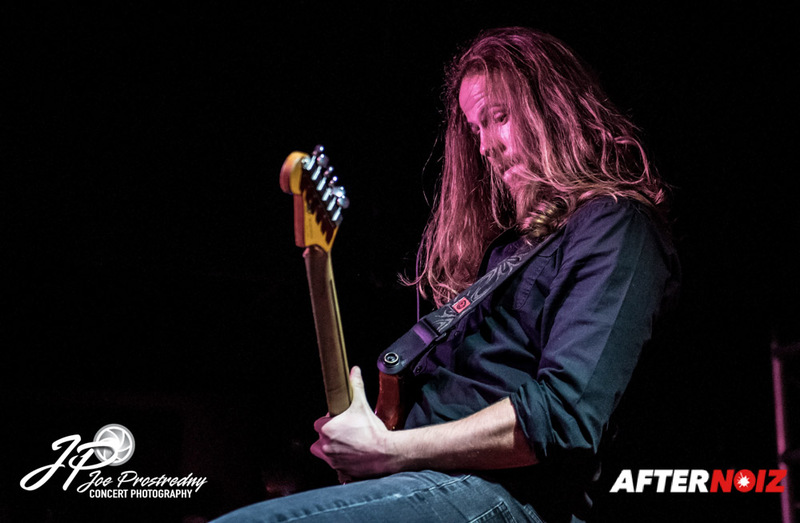 Taking the stage third is an often unenviable position for a support band as the audience is often getting impatient for the headliner to take the stage. But Citizen Zero did a fantastic job of keeping the energy alive with a stunning musical performance and great audience engagement. The band played mostly original songs but also played an awesome version of Ted Nugent’s “Stranglehold” both nights that I saw the tour. They are everything a rock band should be, and I can’t wait to see them again. Failure Anthem was the final support band of the night and I was very curious what I would think of their performance…. not because I’d never seen the band before… I had… when they were touring as support for Apocalyptica last year. 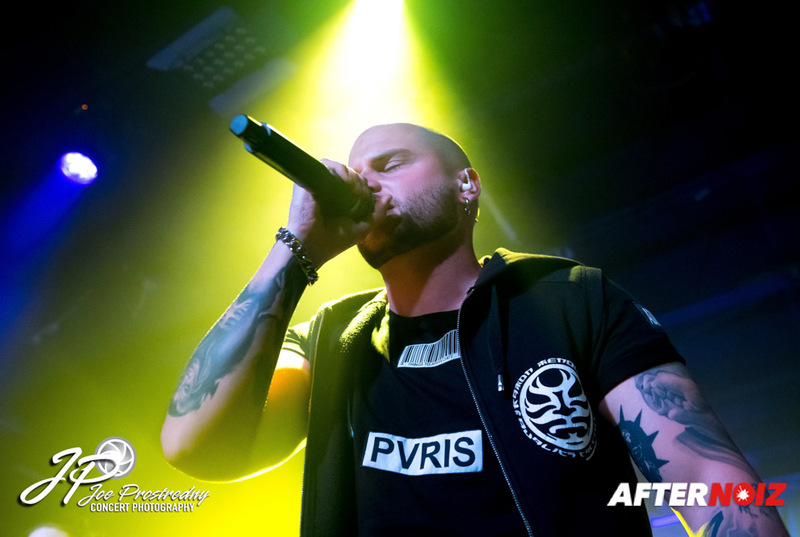 But during that tour, the band’s vocalist was ill and was unable to perform. 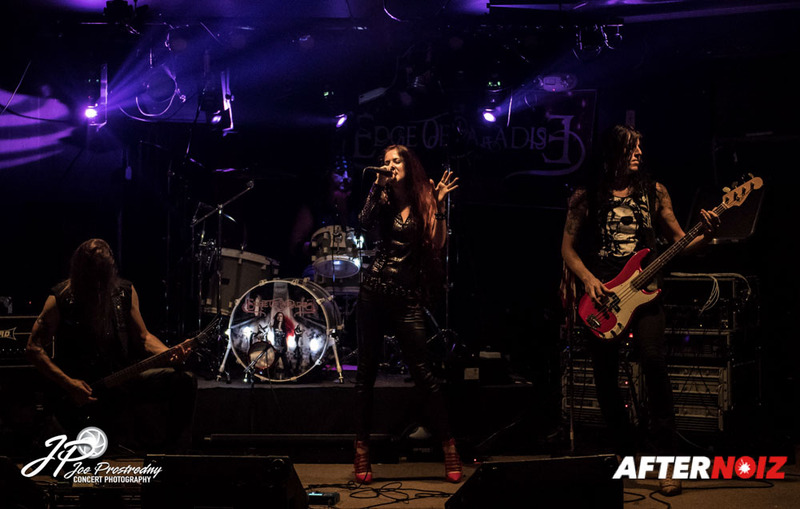 The band had gotten Alexa Kabazie from the band, Letters From the Fire to fill in for that tour. It was an interesting choice for a vocal replacement, as the band’s vocalist was male…. and Alexa was female. But Alexa did a phenomenal job and I was blown away by the band’s sets on that tour. I was curious to see if I would still enjoy the band as much with a male singer on this current tour. As luck would have it…. 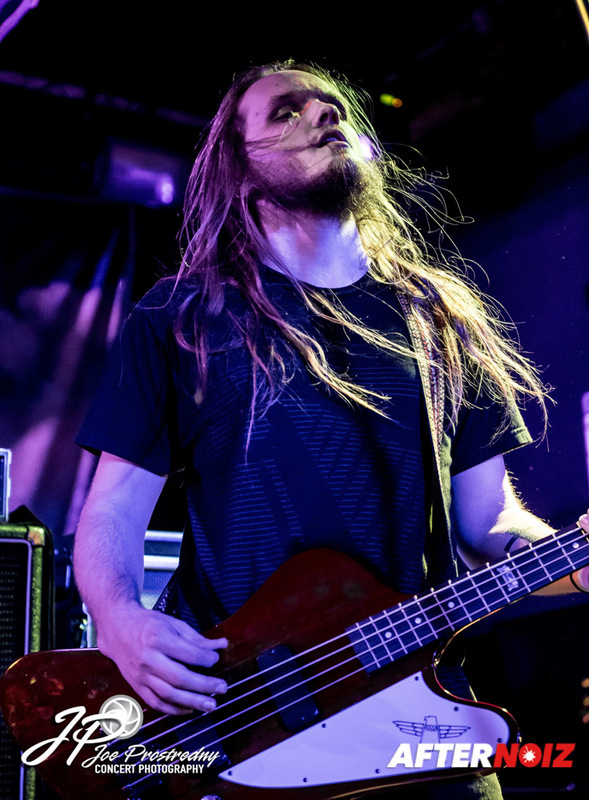 Failure Anthem’s most recent vocalist had left the band just a week or so before the start of this current tour, leaving them without a singer yet again. 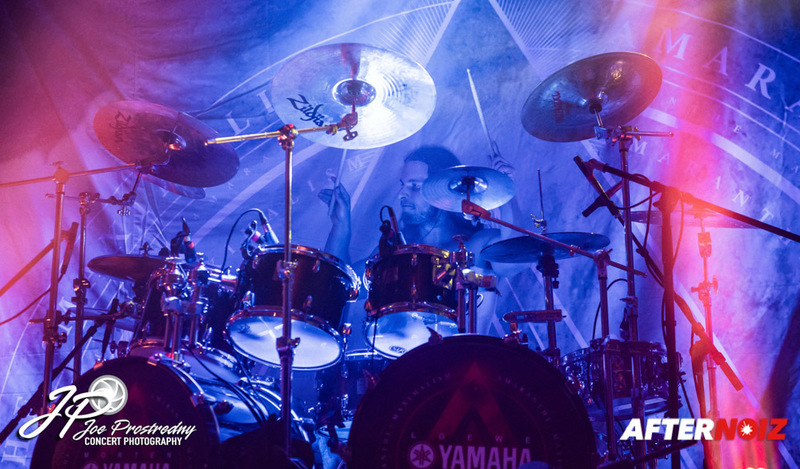 They had secured a last minute fill in for Amaranthe’s tour… and I apologize to my readers but I failed to catch his name both nights. I definitely enjoyed Failure Anthem’s sets both nights. I thought they put on a good energetic show… and the fill in vocalist did an impressive job, especially for coming on board so last minute. I must say that I enjoyed this band more with a female vocalist… but that is my preference in general anyway… so readers shouldn’t read too much into that. 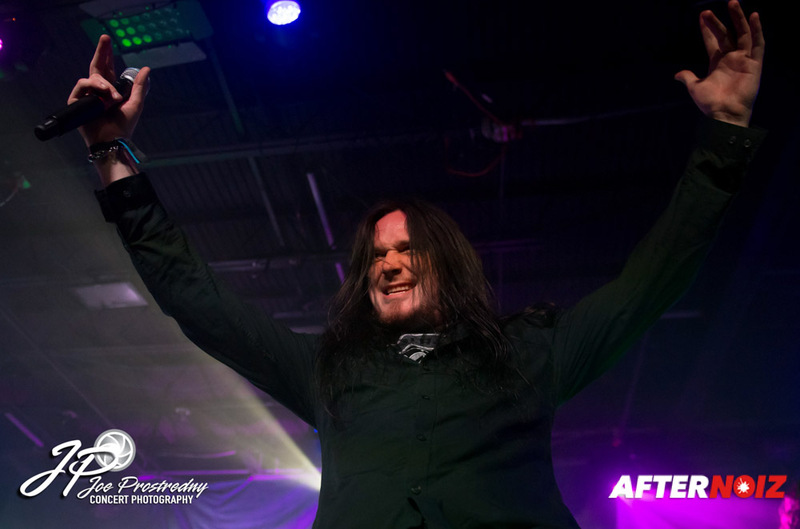 There was no word what Failure Anthem plans to do for a replacement vocalist in the future… and it is probably too early for the band to have even decided. But hopefully they will come around again… and we will see…. 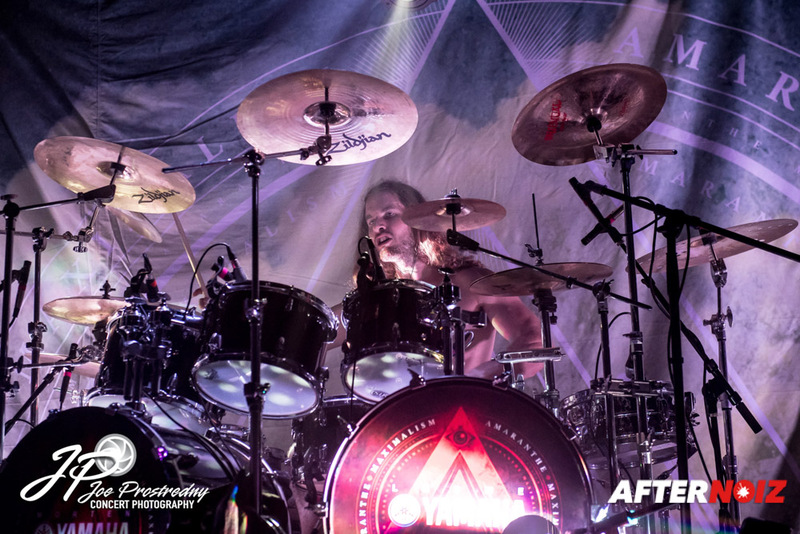 About two and a half hours into the night, it was finally time for Amaranthe to take the stage. 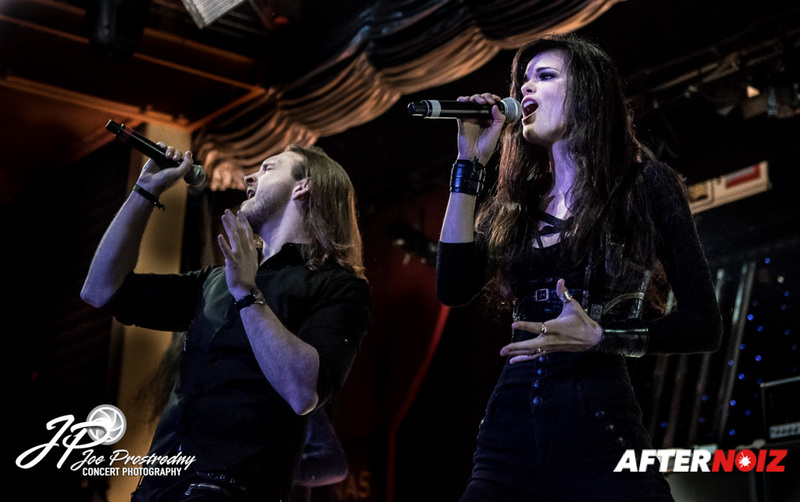 Amaranthe has become one of my favorite bands to see live over the last three years… so despite having just seen them perform twice on 70000 Tons of Metal… I was really looking forward to their sets. 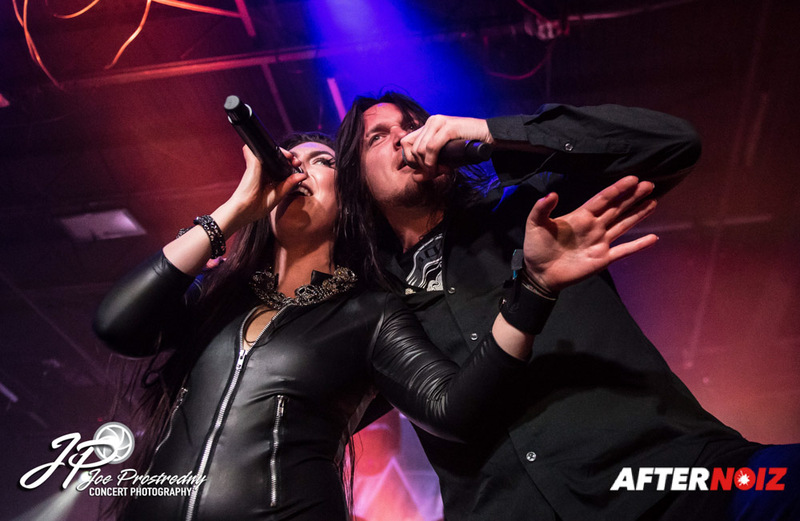 With three vocalists untethered by mic stands… Amaranthe is a very active band and there is something always going on in every corner of the stage. I’ve watched this band on stage for many years and I’ve watched them continue to become a more and more cohesive unit with each progressive tour. 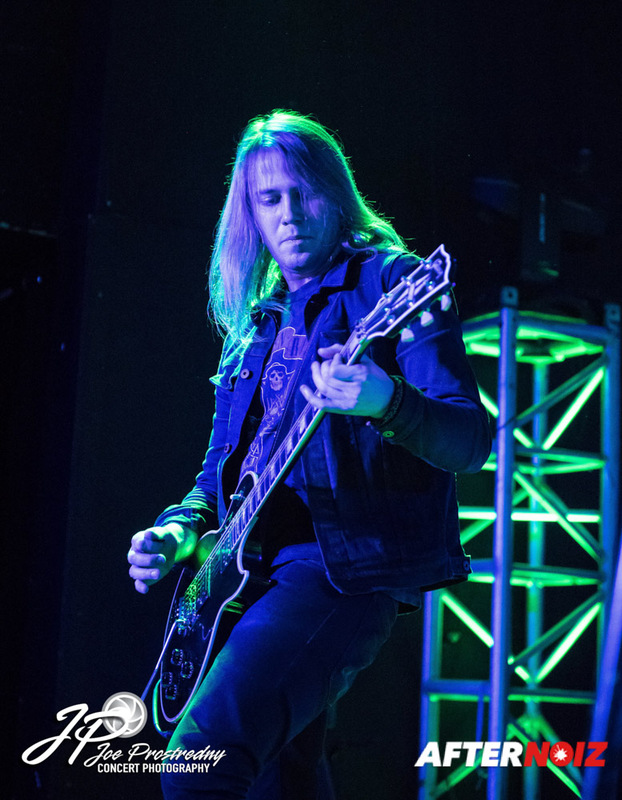 For whatever reasons… the band’s chemistry on this tour was very tight yet consistently light hearted adding to the enjoyment and energy of the evening. 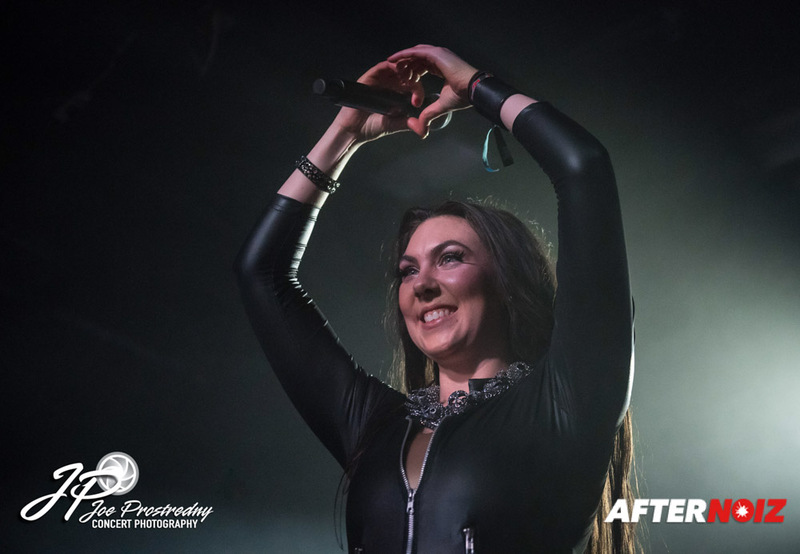 It’s always a treat to watch a band that looks like they are genuinely having fun on stage, an on this tour, Amaranthe definitely seemed like they were having a blast entertaining us. Amaranthe played an impressive 18 song set both nights that I saw the tour. 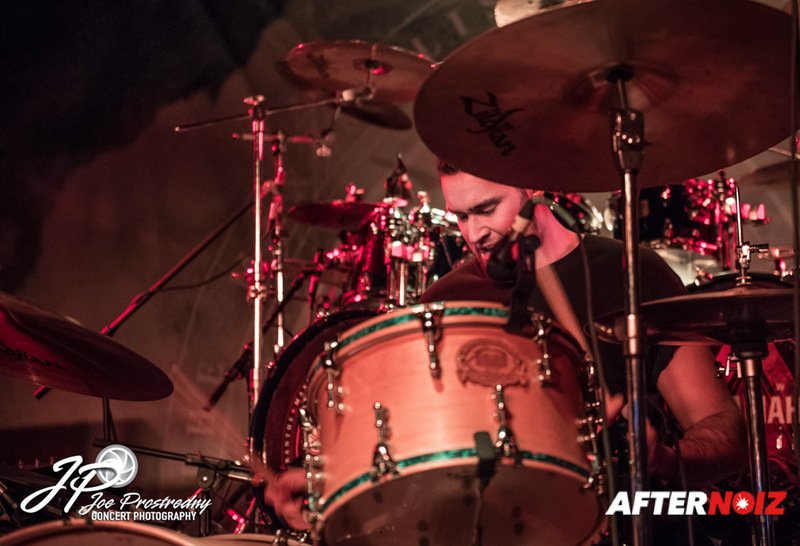 Their set began with “Maximize”, the first song and semi-title track from their new album “Maximalism”. The second song was the new song “Boomerang”…. a hard hitting yet fun song that that band chose for their stunning spy/heist themed video that was just released last week. Additional songs from the new album in the main set included “On the Rocks”, “Fury”, and “Endlessly”. “Endlessly” is a unique song for Amaranthe in that it is the first song to feature real strings. 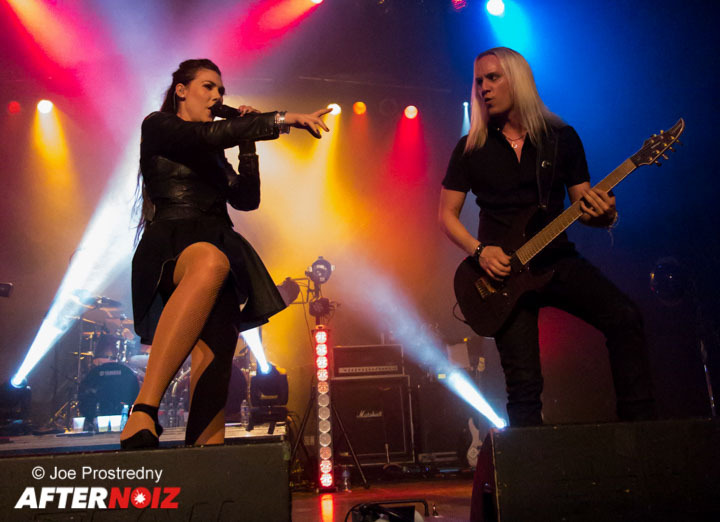 It is also the first song to feature only one vocalist (Elize). 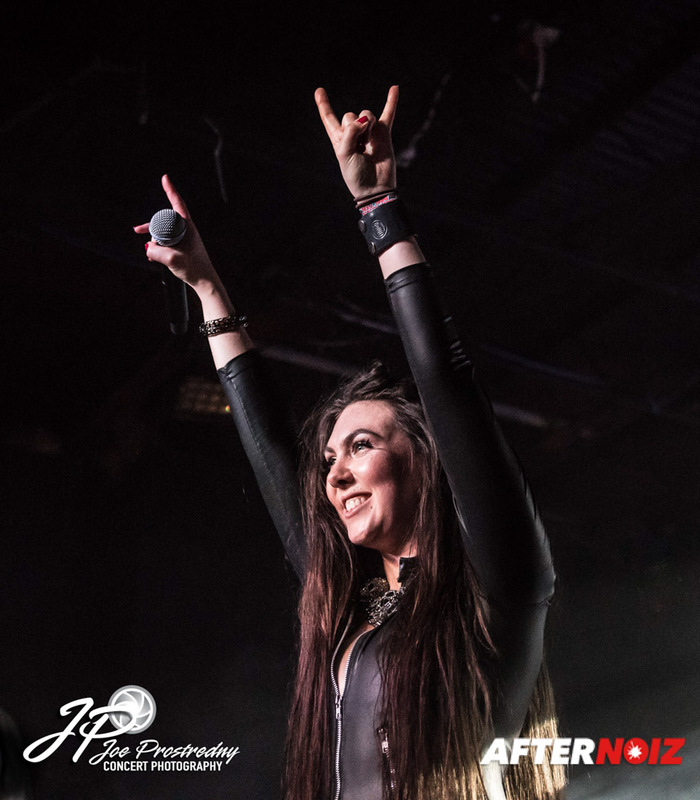 The song is a beautiful and powerful ballad during which Elize drops to her knees and sings the most powerful part of the song directly to one of the fans in the front row. Alas… this fan was not me either night…. 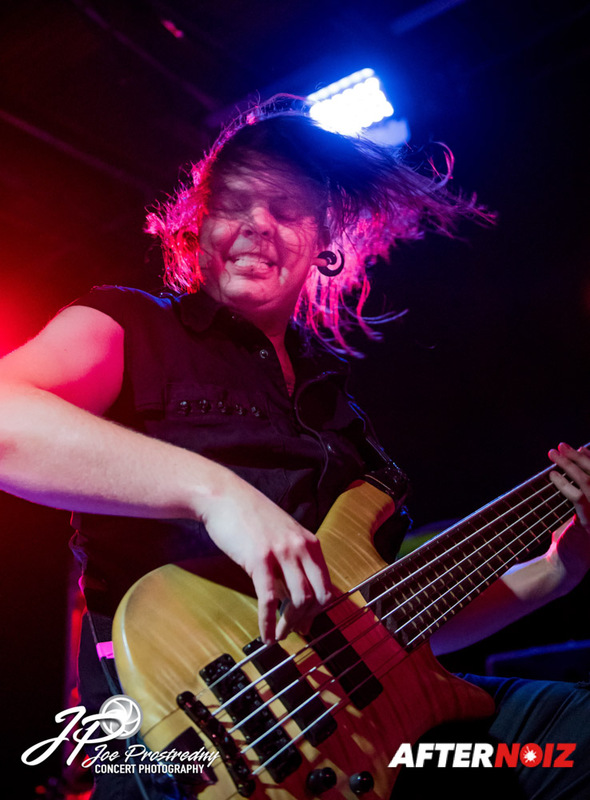 As is typical for an Amaranthe headlining show, the encore section began with a monologue from the bass player, Johan. During this time, he reenergizes the crowd while telling a few jokes and funny stories that change from night to night. 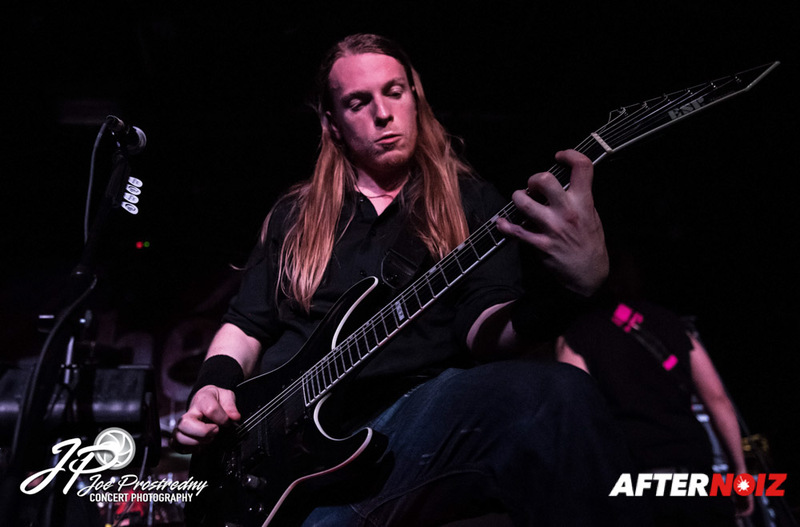 And woe to the fan that might try to heckle him… he has a quick wit… and he will shred you…. but in a good way. Following Johan’s comedic interlude, the audience was treated to, not one, but four encores… the first of which was one of my favorites from their third album. “Digital World”. This was followed up by the first single from Maximalism: “That Song”. 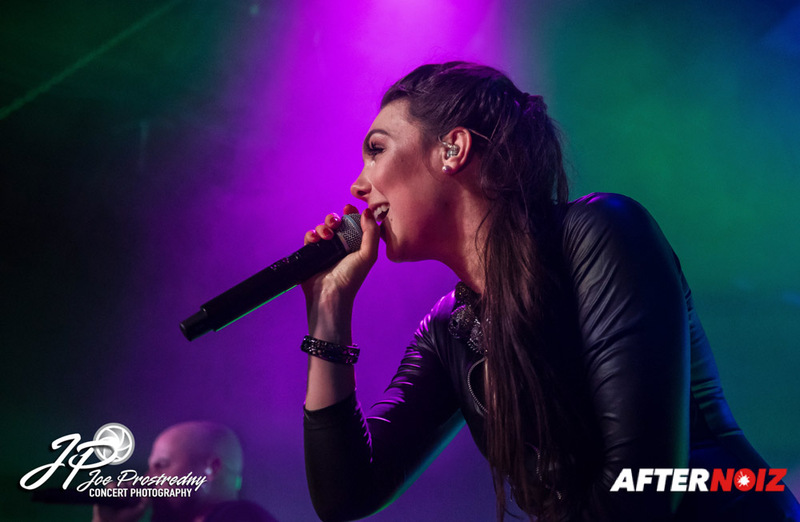 “That Song” received a fair bit of criticism when it was first release for being “too pop”, but it really is a fairly heavy song when played live, and I guarantee you… if you are a fan of Amaranthe’s music… you will like “The Song” live! The final two songs of the night were both from the Massive Addictive album: “Dynamite” and “Drop Dead Cynical”. 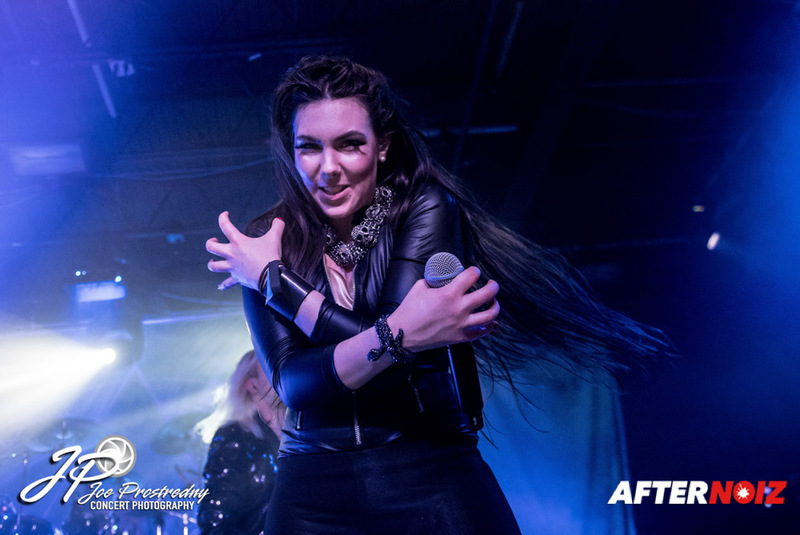 Amaranthe’s set was the same both night’s that I saw them, but they do have a habit of changing their sets up as their tours progress… so your mileage may vary if you catch them later on the tour. As expected, it was a great two nights of music! 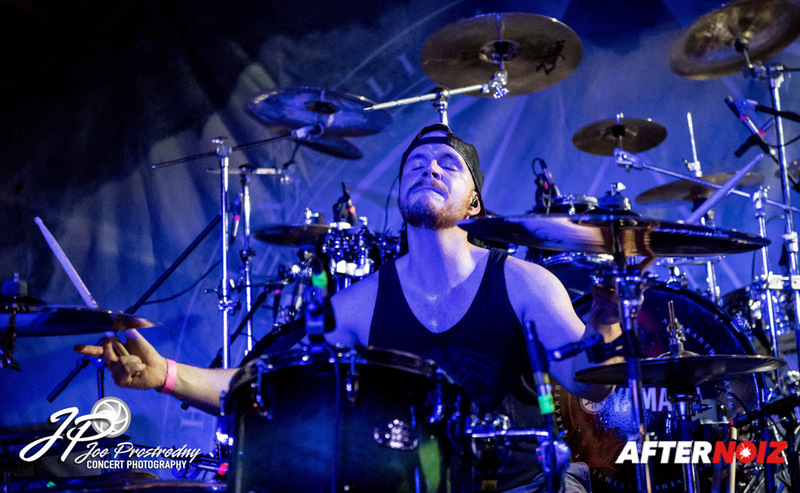 And I, for one cannot wait to catch Amaranthe the next time they come around. But if you are a fan in the USA or Canada, there are still to and a half weeks left on this tour… so you still have plenty of time to catch this show! Don’t miss out! !